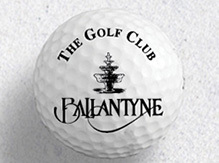 On November 11, active and retired military are invited to play half off the daily rate at The Golf Club at Ballantyne. Golfers must present valid military identification on arrival. Info or tee times: (704) 248-4383.